Frank Stick was an outdoors-man all his life, focusing his artistic talents on capturing the beauty and majesty of the wilderness and wildlife he surrounded himself with. Born in South Dakota, he traveled all around the American countryside honing his various crafts until finally settling down in North Carolina for the remainder of his life. 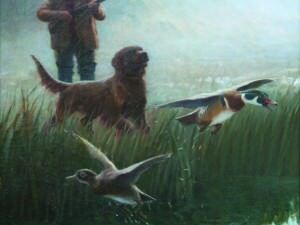 Stick’s work enjoyed huge popularity among the covers and illustrations of sports and outdoor magazines, helping to cement his name as one of the great American outdoors artists. Frank Stick was born in what is now South Dakota on February 10, 1884. Much of his childhood was spent in rural Iowa, hunting and fishing in outdoors that would inspire so much of his work. As a young adult, he headed out into the wilds on his own, making a living through trapping as well as working as a guide for hunters and fishers in the area. During this time he began sketching and writing of his experiences, which he sold to outdoor magazines. As his interest in art grew, Frank Stick enrolled in the Chicago Art Institute in order to better capture the wildlife and landscapes he so loved. 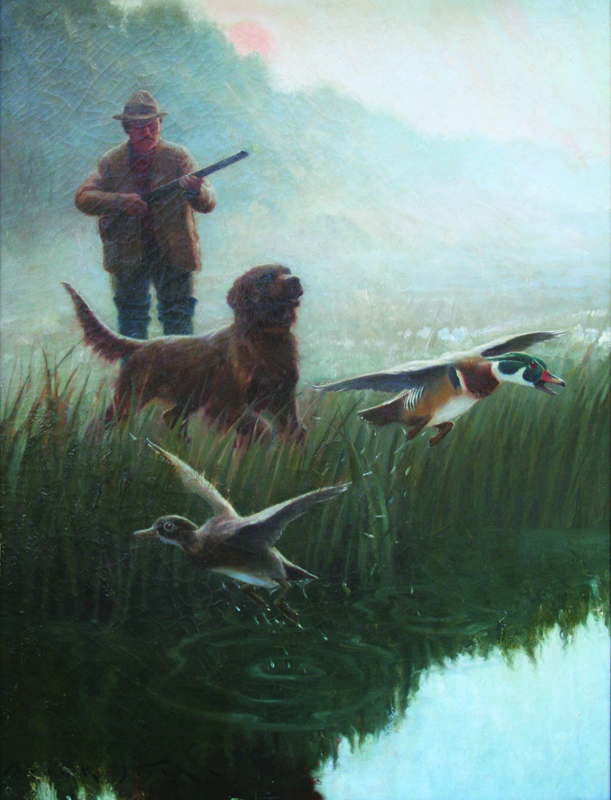 Frank Stick went on to have an incredibly successful career, with his paintings gracing the covers of many well-known sports and outdoors magazines. This experience in the commercial art industry left him missing making art for pure enjoyment, and so in 1929 he moved to North Carolina to focus on painting for his own pleasure. Over the years Stick fully immersed himself in North Carolinian culture, contributing heavily to the creation of local monuments and national parks. He contined to live in North Carolina, writing and painting, until his death in November of 1966.